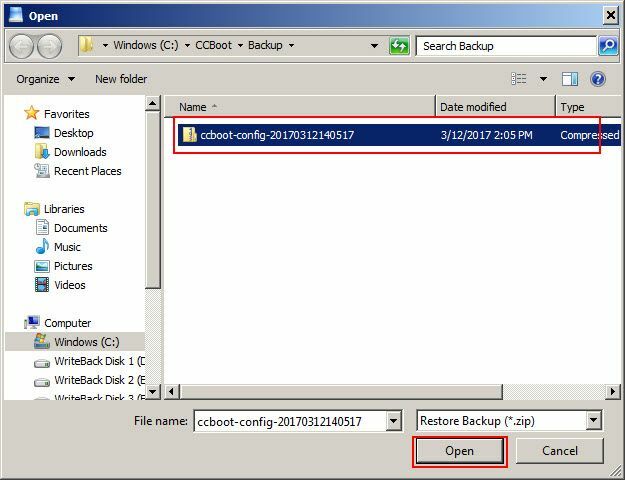 In CCBoot version 20170308 we added function to backup your settings and user information so you can restore it incase you loose the settings. 1. 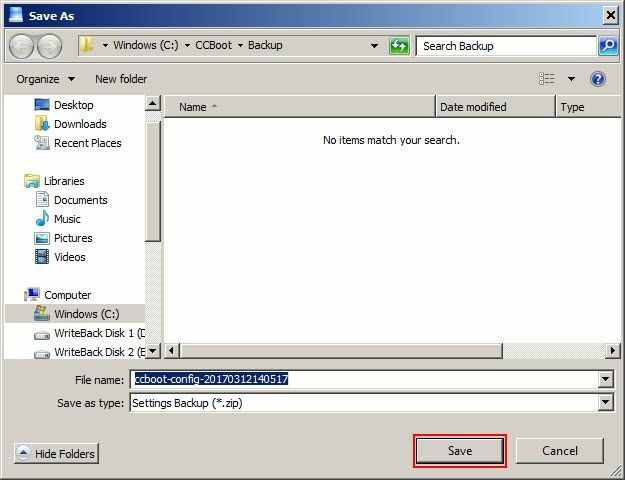 Click the Tools then click "Backup Settings" (Figure 1). 4. Now, if by chance or some mis configuration you loose the settings, you can restore it. 5. 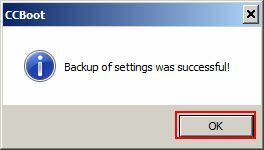 To restore from backup, click "Tools" then "Restore Settings" (Figure 4). 6. On the "Open" window, select the config file and click "Open" button (Figure 5).